One subject wirebound notebook. Smooth, white, 15lb writing paper is wide ruled with a red margin line. 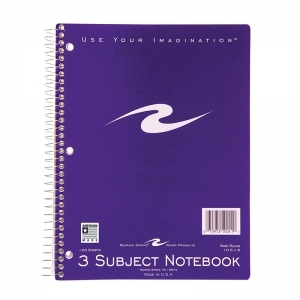 Covers are printed on a bright board, and are packed in 4 assorted colors. Wire ends are coil-locked for snag-proof performance. Each book is 10.5" x 8" and contains 70 sheets of writing paper. 24 books per case. Proudly made in the USA. Three subject wirebound notebook. 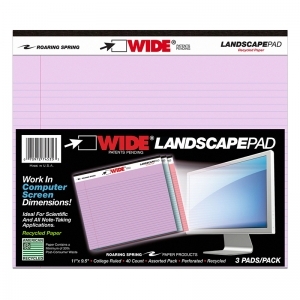 Smooth, white, 15lb writing paper is wide ruled with a red margin line. 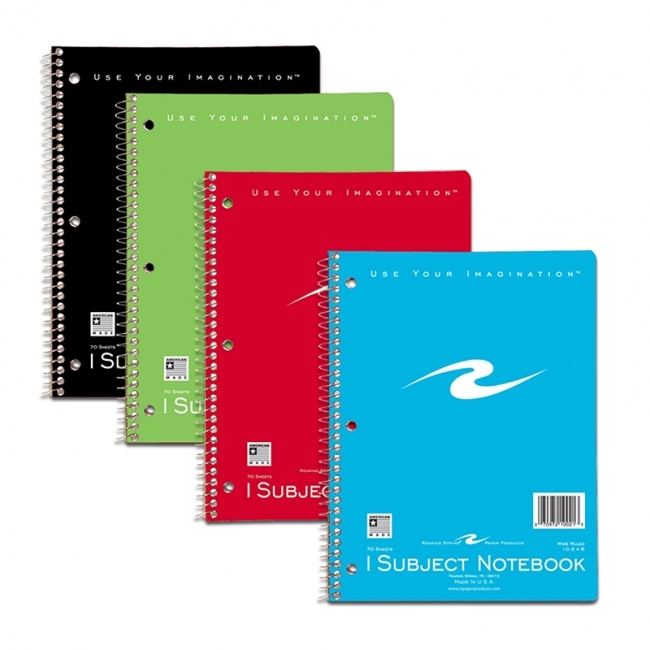 Covers are printed on a bright board, and are packed in 4 assorted colors. Wire ends are coil-locked for snag-proof performance. 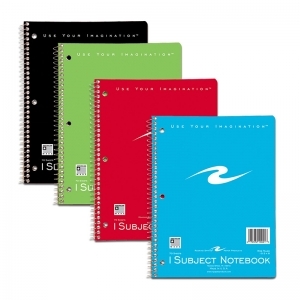 Each book is 10.5" x 8" and contains 120 sheets of writing paper, along with 2 subject dividers. 24 books per case. Proudly made in USA! Change your note-taking experience. 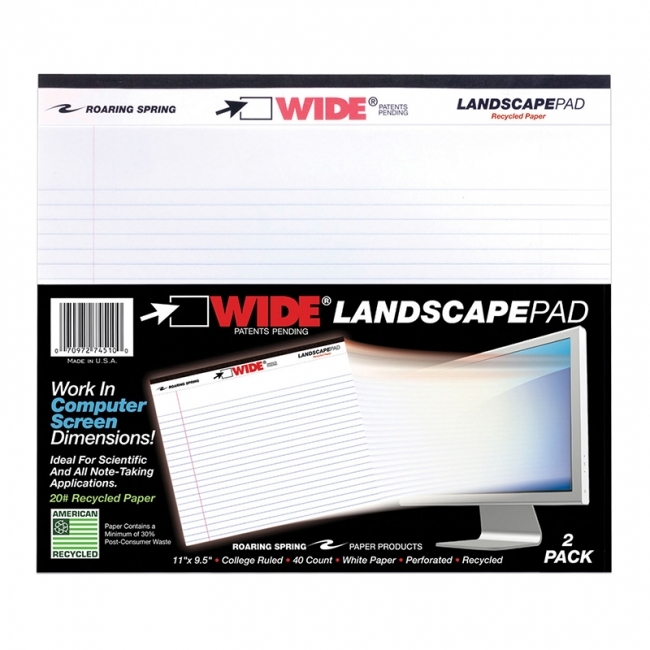 These pads, produced in landscape orientation, fit better in workplace environments, desktops, even airline trays. The pad is produced from smooth 15lb recycled paper containing a minimum of 30 percent post-consumer waste in orchid, blue and pink. The sheets are lined in the long direction, with a red margin line. There are 40 sheets per pad, and each pad is stapled and tape bound along the 11" dimension. 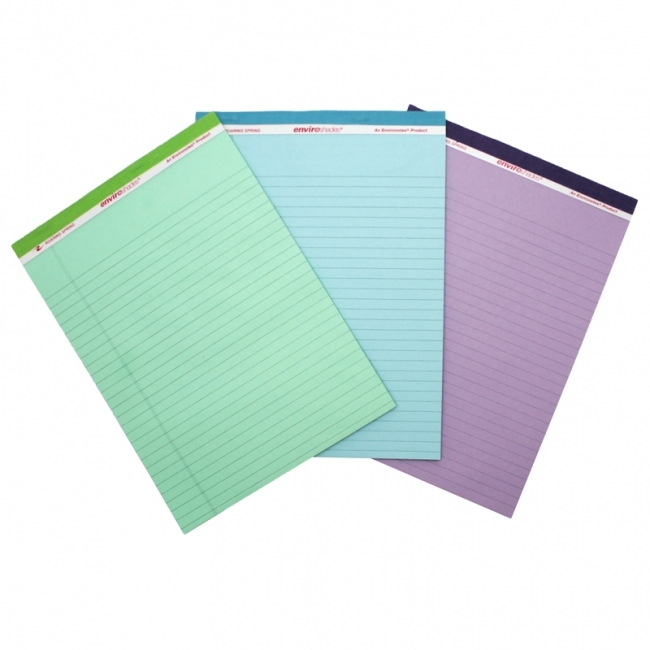 The sheets are micro-perforated for easy tear-out to a finished size of 11" x 8.5". Each pack contains 3 pads, one of each color. Proudly Made in USA!